Multiple Sclerosis (MS) is an autoimmune disease in which the immune system attacks the fatty layer that covers the long extensions of the nerve cells. Called myelin, this layer insulates nerve cells, allowing the efficient transmission of electric signals in the brain and from the brain to the rest of the body. Damage to electric signal transmission impairs proper brain function, and therefore, the function of the entire body, and may manifest in a variety of symptoms, including blurred vision, difficulty in walking, dizziness, and muscular weakness. Worldwide, about 3 million people are afflicted by MS. Disease prevalence is 30 in 100,000 individuals, varying among different countries. Currently in Israel there are 5,000 patients. Although therapies that impede disease progression exist, including the drug Copaxone developed at the Weizmann Institute of Science, the causes for MS onset are still not fully known. Nerve cells’ myelin sheath is composed mainly of fatty membranes. 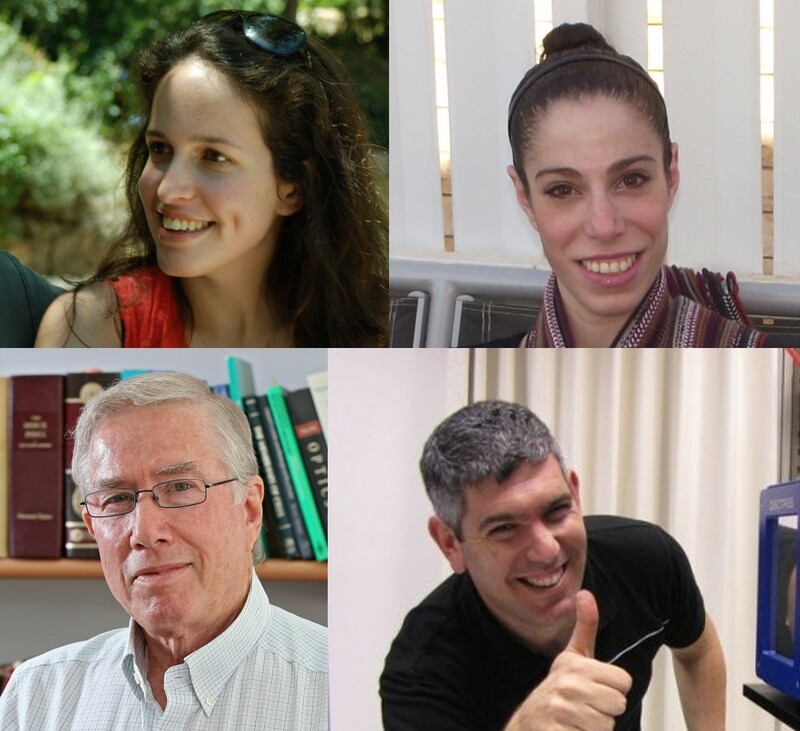 Researchers from Prof. Roy Beck-Barkai's lab at Tel Aviv University’s School of Physics, in collaboration with researchers from the Technion and the Weizmann Institute (including Prof. Ruth Arnon, one of Copaxone’s co-developers), set out to find how small structural changes in the membranes affect the myelin layer’s function. In their 2016 study, they show that the manner in which these membranes are organized is essential for myelin's function as an insulating layer. In general, the myelin membranes are organized in one of two ways: When membranes are stacked one on top of the other, like layers of dough in puff pastry, myelin-provided insulation is optimal and electric signal can pass through the nerve cell undisturbed. But in some cases, a change in the membrane structure – from puff-pastry-like layers to tube-like structures – disrupts proper myelin structure, potentially leading to diseases such as MS.
"After discovering that structural changes in the membranes can affect disease development, we attempted to unveil the factors that may lead to these changes," Beck explained to Davidson Online. "This is where the beauty of physics is revealed, since it can provide researchers numerous predictions and hypotheses, which can then be tested". As physicists, the researchers knew that factors like temperature and salt concentration may affect the membranes’ molecular structure, but other clues also steered them in this direction. The first of these clues came from studies showing a possible connection between a high-salt diet and disease progression, and the widely accepted recommendations to MS patients to maintain a balanced diet. Another clue hinting at a connection between these factors and MS was found in the work of German doctor Wilhelm Uhthoff, who, as early as 1890, observed that MS patients experience vision problems following hot showers or physical exercise. This finding led him to use hot baths as a tool for diagnosing the disease. To test their hypotheses, the researchers examined the manner by which changes in the cellular environment, such as temperature and salt concentrations, can affect the structure of the membranes that comprise myelin. To observe these changes, they examined changes in the molecular structure of membranes isolated from pig and sheep brains, using electron microscopy and X-ray diffraction, which allows accurate analysis of the structure and location of biological molecules. The study was led by PhD student Rona Shaharabani, and was conducted in collaboration with Prof. Yeshayahu Talmon and PhD student Maor Ram-On from the Technion. They found that a high salt concentration or high temperature (42 degrees Celsius) in the cellular environment causes the membranes to shift from the normal structure of myelin to the deformed tube-like structure. Fluctuations in environmental conditions can also lead to such a change. The researchers hypothesize that this structural change exposes the proteins important for maintaining the normal myelin structure (myelin basic proteins) to the immune system, which attacks them, thereby damaging the myelin itself. Though the experiments in the study were conducted on membranes in a test tube, their results may indicate what takes place in the intact organism. The discovery of Beck and his colleagues reveals that the cellular environment has profound importance in maintaining normal myelin structure, and that these molecular changes can drive disease onset. "These are directions that researchers have not previously looked into, and perhaps now, the new information will lead to new studies and discoveries, and maybe even new treatments," he says. "While the cause for the disease is still not completely clear, the new finding takes us one step further to a deeper understanding of its mechanisms." According to Beck, the findings from the recent study demonstrate the importance of basic research, which is not aimed at finding a drug or solving a specific problem. "Many discoveries have been made serendipitously, like Penicillin, but numerous others were the products of hard and thorough scientific research. Basic research that aims to understand why and how things happen sheds light on our biology and physiology. Discoveries like ours further our understanding of the cellular mechanisms that may contribute to the development of diseases like MS, and can form the basis for the search for novel drugs and treatments." I am having joints pain in both hands inside and outside and muscle weakness due to multiple sclerosis (MS). I am falling a lot, I have headaches and lightheadedness. I cannot keep myself balanced, and walk with a tremor like I cannot control my steps. I had taken avonex for two years. Presently I am taking BEST HEALTH HERBAL CENTRE MS HERBAL FORMULA TREATMENT (ww w. besthealthherbalcentre. c om). I take it twice daily morning and evening. I have experience a continual diminution of symptoms. it's a powerful herbal formula, 10 out of 10 from me! After an MRI i was diagnosed of MULTIPLE SCLEROSIS. After years on medications, symptoms worsened with tremors on my right hand, numbness and tingling, muscle weakness and loss of speech. Fortunately last year, i learnt about RICH HERBS FOUNDATION and their Multiple Sclerosis alternative treatment (ww w. richherbsfoundation. com), the Multiple Sclerosis treatment made a great difference, most of my symptoms including tremors, weakness and others gradually disappeared. I improved greatly over the 6 months treatment, its been a years since the treatment, i have no symptoms. I have a very good quality of life and a supportive family!